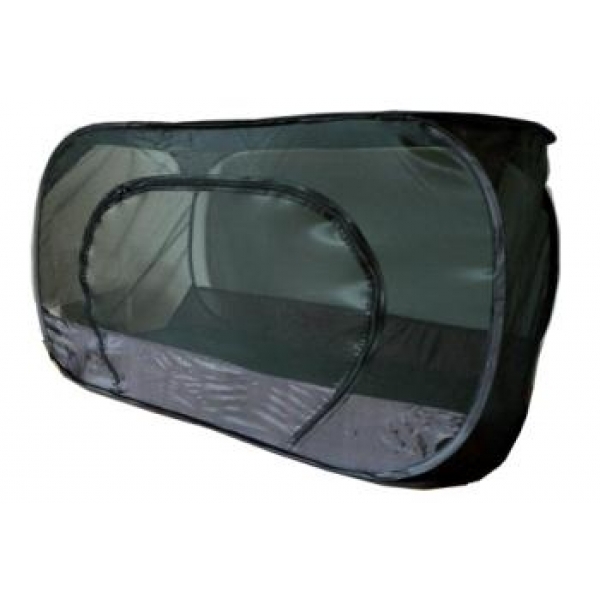 This cage provides substantial flight area for butterflies or for pairing giant silkmoths. The cage frame is spring steel enables the breeder to erect or dismantle the cage in a simple twist operation taking just seconds. Erected the length is 110cm by 55 x 55. Folded, the cage reduces to a flat circle only 35cm diameter! The base is made of waterproof vinyl. Access is via the front oval double zipped panel. A revolutionary design and a lot of space for your money!